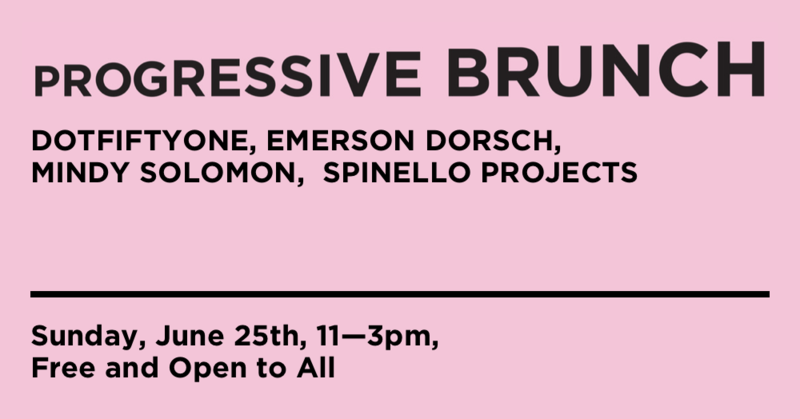 Join Dot Fiftyone, Emerson Dorsch, Mindy Solomon, and Spinello Project on Sunday, June 25, 2017 from 11-3 pm for an afternoon of gastronomic and creative nourishment. Capitalising on the Sunday brunch concept, the four galleries will offer a separate dish at each location that will run simultaneously throughout the day. Spearheaded by Mindy Solomon, the event will highlight the current programming at each venue and enable visitors a more intimate look at the exhibitions on view. The galleries are located in the Little Haiti and Little River Arts Districts.